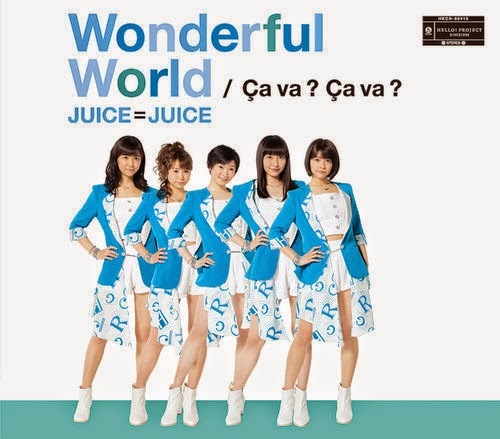 Wonderful World/Ca va? Ca va? Yay! 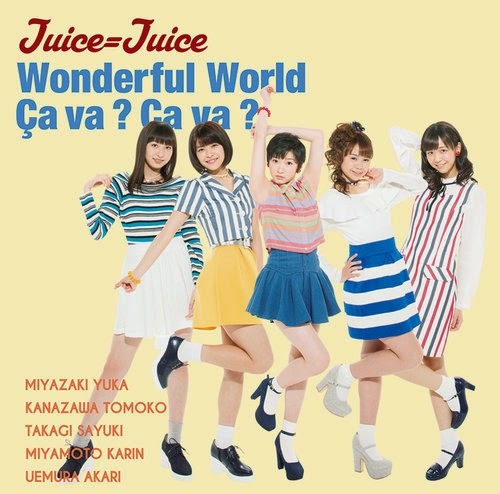 It is that time Hello Project fans, when your favorite group decides to release their first single of the year. I am actually super excited to share this MV that was just uploaded over the weekend. 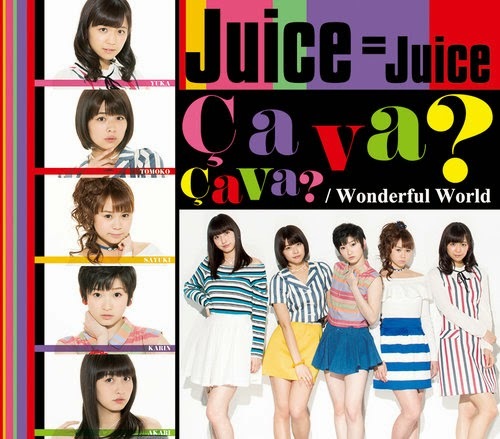 As you know the artists name is Juice=Juice. 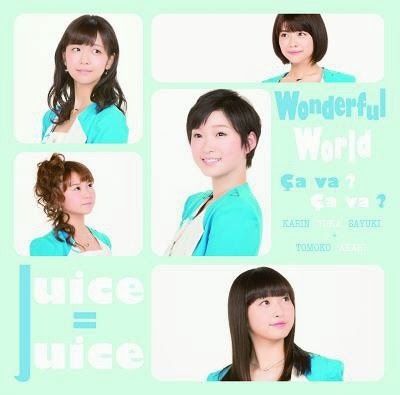 You can check out my introduction to the group here:Juice=Juice plus pie! I thoroughly enjoyed the song and the dancing. As for the members, Karin Miyamoto looks pretty as usual with her short hair. I honestly hope she grows it out a little more (just saying). Every ones' favorite, Rose Quartz or Tomoko Kanazawa looks amazing. I was surprised honestly. As for my girls, Sayuki and Yuka, they look like they have not aged one bit. Also, Akari looks a little more grown up than the last time I saw her. Now as for the outfit part, they are really superb. The way the white shirt and the white shorts, completely belong with the lovely blue jacket. For the scenery of the MV, they did a great job picking it out. The way the sun shines in through the window makes the group look pure and innocent, which is good. As for the song itself, you can most definitely tell it is a Hello Pro song. The tune is so upbeat and the lyrics are so good, that I listened to it multiple times and I can't stop. it is that good. 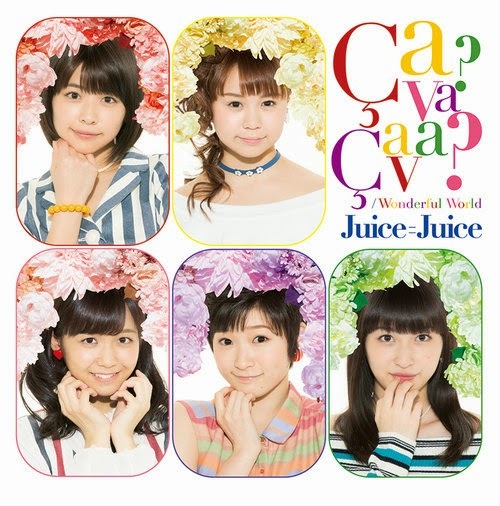 I will be purchasing this single when I get to Japan to support the group. I hope you enjoy the music video and keep cheering them on to greatness. You can follow me on Twitter or just leave a comment. It would greatly be appreciated. 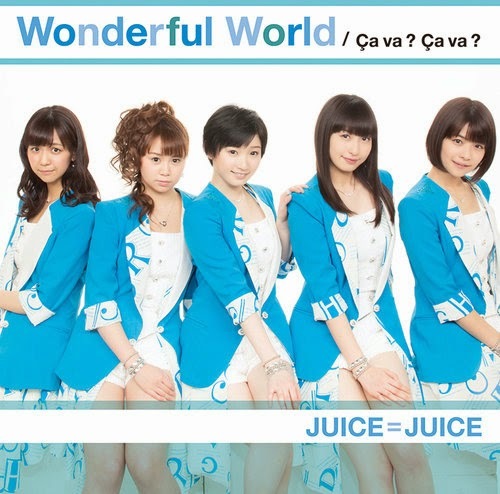 Labels: Juice = Juice Wonderful World/Ca va? Ca va?